This handy tool has the answers to questions that have plagued movie fans for years. The rise of powerful computer graphics gives filmmakers an infinite playground for creating digital locations and settings. Trend-setting movies like “Sky Captain and the World of Tomorrow” were shot entirely on a sound stage. 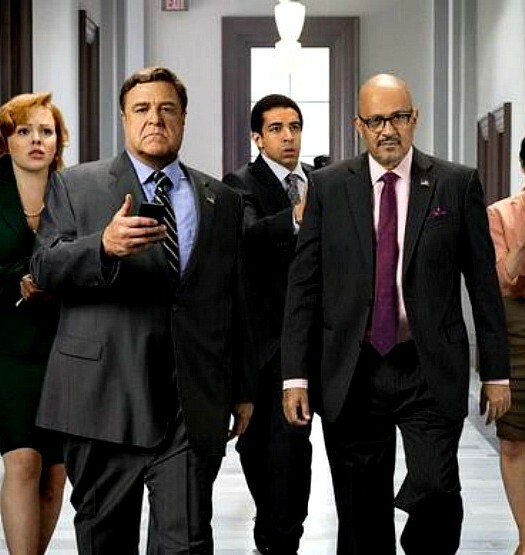 The film’s settings and backgrounds were added via computer. The problem? It’s darn expensive to create a convincing world that way. Even movies with massive budgets, like “Star Wars” or “Avatar,” film on location, not just in sound stages and other controlled environments. Which leads to the obvious question: Where was your favorite movie actually filmed? Fortunately, you no longer need to be an industry insider to find the shooting location for a movie. 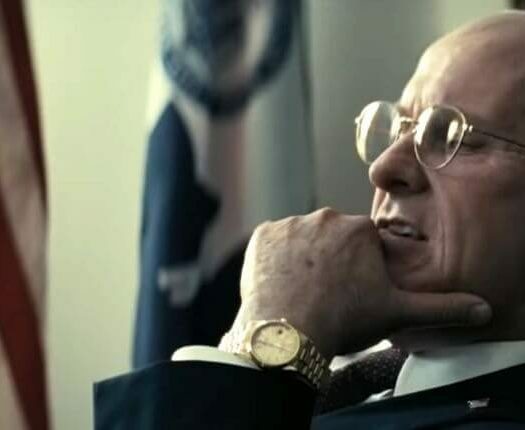 Internet Movie Database, or IMDb, has an extraordinary dataset of actors, directors, TV episode names, film critic reviews and much, much more. Want to know what films Alan Rickman and Heidi Klum have co-starred in? 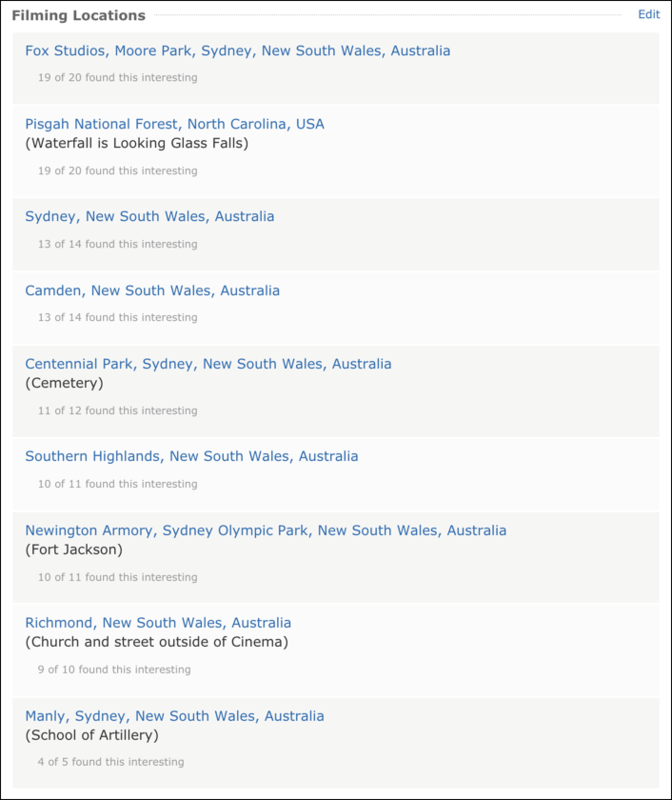 You can find out with an IMDb collaboration search (The entirely forgettable 2001 film “Blow Dry,” if you’re curious). Shooting locations can be searched through the IMDb advanced search page, but to start with a film, you’ll want to go to the main film reference page. That’s done by searching at the top of the IMDb home page. 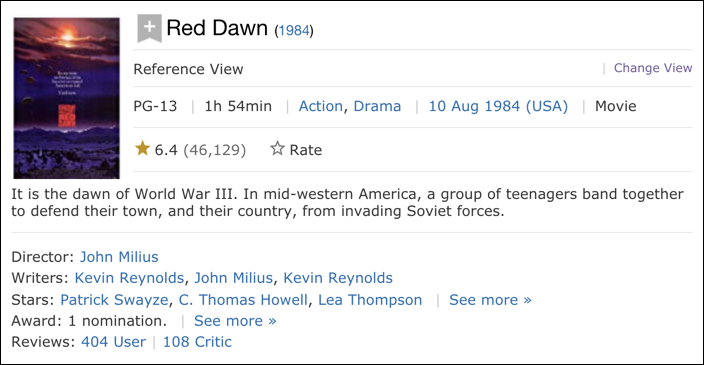 For our example, let’s find out where the classic 1984 film “Red Dawn” was filmed. 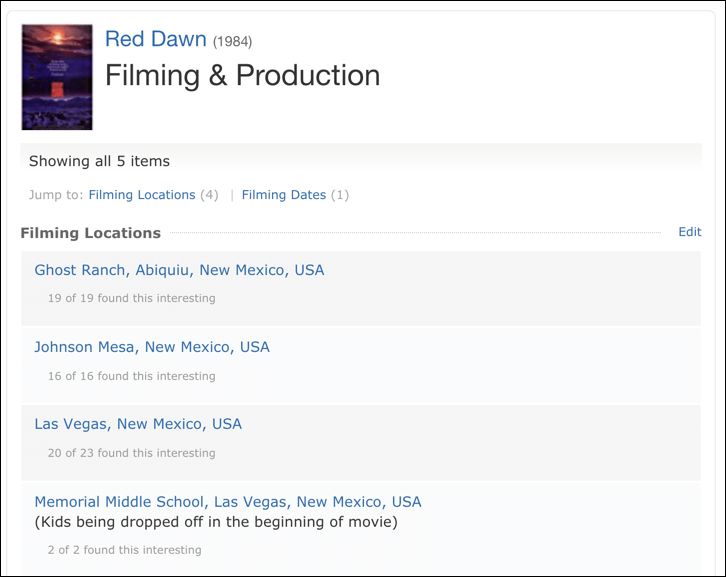 It purports to take place in Colorado, but the filming locations were actually all in New Mexico. Turns out this is remarkably common. Whether it’s “downtown London” or “rural Siberia,” thousands of films and TV shows are actually made where it’s cheap and easy to shoot, not where they want you to believe the action is occurring. Hopefully this isn’t too much of a surprise, particularly when there are off-planet or historical settings involved. Yes, there is no Hogwarts Castle where Harry Potter learned how to be a wizard, and they didn’t travel back in time and film “The Passion of the Christ” in Jerusalem circa 29 AD. Would you like to do another shooting location search? How about that? Turns out that the film, set in Okinawa, Japan, was actually almost exclusively filmed in Australia. That’s movie magic! Even more interestingly, you can turn the search around and find out what films — or TV shows — were filmed in a particular city or location. 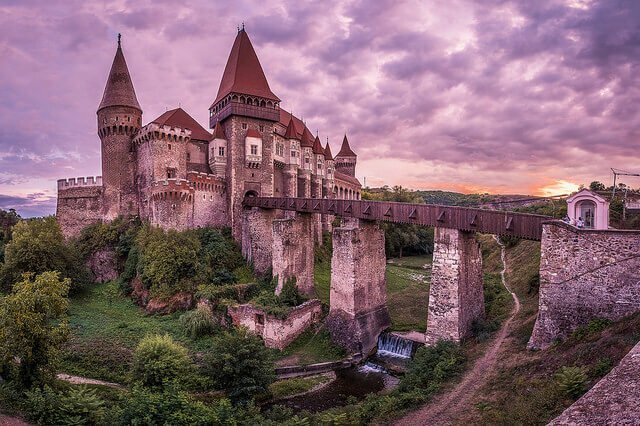 For example, the horror film “The Nun” uses a place in Romania for some of its exteriors called Corvin Castle. It turns out the site is rather popular, with over 2,500 matching entries! 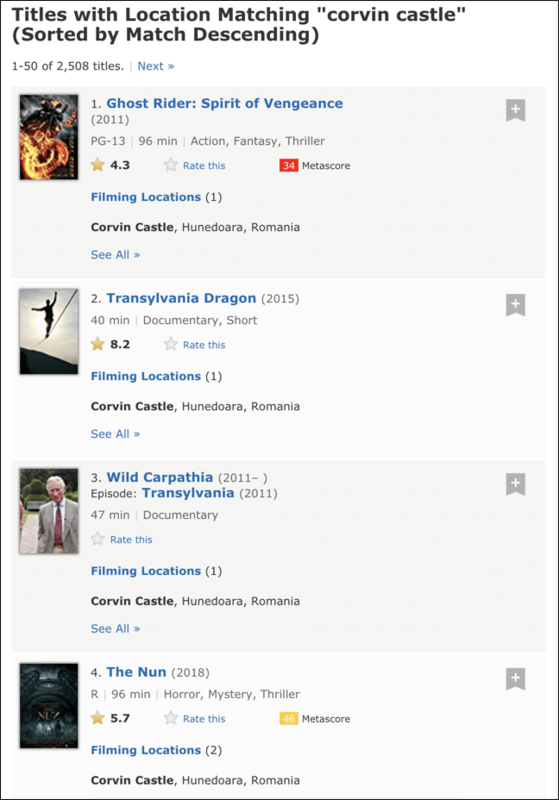 Very close examination as you go down the list reveals that IMDb has a bad habit of sometimes matching either word in the results, so “Robin of Sherwood” shows up as a match, but wasn’t actually filmed at Corvin Castle but rather at various castles in England and Wales. As a result, that 2,500 matches figure cited earlier isn’t entirely accurate. Still, between being able to search for a location to find matching films and TV shows (try “Hollywood High School” for a lot of matches!) and being able to explore the locations of your own favorite move (look up “Rocky” as an example), there’s a lot you can learn about movies – and movie magic – from IMDb. Dave Taylor is the lead film critic for ScienceFiction.com and writes daily tech tutorials on his popular AskDaveTaylor.com Web site too. You can find him – and talk about movies any time – on Twitter at @DaveTaylor.